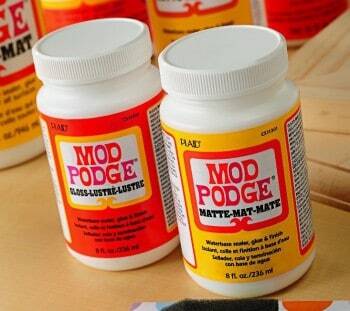 You'll love this collection of 20 genius crafting tips. These are the kind of hacks your grandmother used – you'll find them so useful for every day life! Crafting tips are one of my favorite things to write about. Because being a lifelong crafter, I'm always looking for shortcuts or inexpensive ways to do common things. I don't mind buying tools when they have a regular use and make my life easier, but sometimes I need a solution at the spur of the moment, and there's no tool around to do the job. That's typically how these things work, right? There's where these crafting tips come in. You might have also heard them referred to as “craft hacks.” Whatever you call them, these craft tips are those little tips and hints you remember your grandmother using way back when. Grandma didn't always have fancy tools, and neither do you. At least I don't! These crafting tips cover topics such as storing small items, sharpening scissors, spray painting, and more. Creative people always have a lot of tips and tricks, and I can't wait to share these with you. 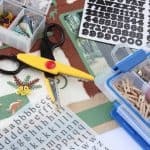 Bookmark this page and then the next time you bust out the craft supplies, reference this article for some great craft tips to make your life easier. Enjoy! Use a binder clip on the edge of a glass jar to direct your yarn and keep your ball from going all over the place. Don't forget to set this up before you start knitting! 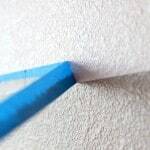 Sandpaper will sharpen your scissors easily – just by cutting through it several times. Medium grit works the best for this application. This is one of those crafting tips you'll love, because we all know how hard glitter is to pick up! If you have a place with glitter that you can't easily clean, use a lint roller to get it up. If you live in a small place, you might not have anywhere to spray paint out in the open. If this is the case, use a cardboard box stood up on its long side as a makeshift booth. Great for the winter in your garage too! 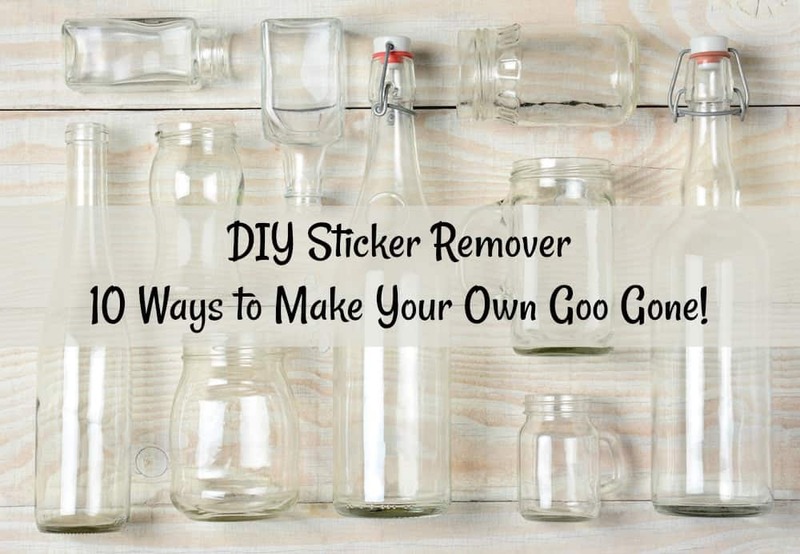 It takes several minutes for me to get to my glue each time I use it – so I started storing it upside down in a glass and the glue is right there in the bottle when I need it. It's hard to tell what color acrylic paint is by looking at it in bottle – so use popsicle sticks to make paint chips so you can always color match easily. Related: get my 8 tips for how to use acrylic paint! To make it easier to cut duct tape, wipe your scissors with a baby wipe beforehand. This prevents the duct tape from sticking to the blades. Want to know what helps glue sticks from stringing as much? Keeping them in the freezer before using! Take them out and put them right into your glue gun. A plastic ice tray is a perfect place for holding teenie tiny items that have no other place to go – you also don't have to buy multiple storage containers. If you want a cheap way to make your own sewing patterns, look no further than the recycling bin – newspaper is perfect! I love my huge collection of craft punches but it's hard to keep them sharp. The easy way to do it is to punch aluminum foil. Punch several times and you'll notice the punch cuts better than ever! Another option for getting rid of hot glue strands – use your hair dryer with the project is done. You'll see them melt away. To make small fabric pieces easier to store, wrap them around cut pieces of a cereal box. You can then sit them up in a drawer and sort through them easily. I'll never forget when I dropped a ton of pins on the carpet during a late night sewing session. I was so tired and it was difficult to see them! Easily pick them up with a strong magnet. It's very easy to store ribbon and still access it on a paper towel holder. Simply push the roll down onto the holder and layer them (works best for cardboard rolls). Protect yourself from an accidental stabbing by putting wine corks at the end of your knitting needles. My brother stepped on my knitting needles one Christmas and had to go to the hospital so this is one of those crafting tips I use ALL the time! Use an old chip container (rinsed out) to store brushes and other long items, such as chenille stems. Use a recycled plastic lid as a makeshift paint palette – any kind of plastic lid will do. You can also rinse it and save it for the next time. Do you have a tape roll that you haven't used in awhile? If it's hard to peel the end off, put it in the microwave for about 10 seconds and it will loosen up. It's hard to make sure a nail goes in straight sometimes. Use a comb to help guide the nail as you hammer – and then simply slide off when the nail is secure. 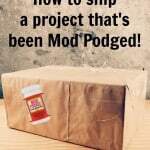 Do you have any other craft hacks you can share with me? I'd love to hear them in the comments. Want more craft tips? I have 10 suggestions for DIY sticker remover – just click the image below. 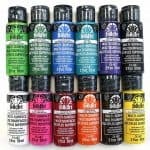 How to Use Acrylic Paint – My Top 8 Tips! This is so helpful. Some things I already knew about and have forgotten. Looking forward to new tips. thank you! For me, the best are the ones for getting rid of hot glue strings. I don’t know if it is the fault of the glue I am using, but the strings are awful. Much worse than any glue I have used before. I only wish I knew where I got this particular bag of glue sticks…I would never buy them again. These tips are priceless! Love the comb to drive a nail use and I’m sure I have a roll of tape that I need to microwave 🙂 Thanks so much! These are fantastic! I had no idea you could sharpen scissors with sandpaper! I just threw a pair in the trash last week cuz they wouldn’t cut anymore. Thanks Kim! Glad you enjoyed them! Oh my gosh, some of these are so right on! I need to do a whole bunch of these, pass this on to friends and show my mom the knitting ones. Thank you for these! You have made one crafter very happy. Yay Gail! Glad to hear it! I have not got my DIY segment going on my website yet…..but this is something I am a bit OCD about. I hate when electric cords are wrapped around an appliance because the twist internally and eventually the outer cover splits. Also to prevent that internal twisting the cable should NEVER be wound up from the PLUG end – leave the cable and start gathering it in loops from the APPLIANCE end. then, when you have a neat loop slip them into a cord holder made from a recycled shampoo or similar plastic bottle with top and bottom cut off. I have a few photos that I can share to illustrate this – where to send them?? Hi Erik! You can send them to me at amy @modpodgerocksblog dot com. I think I’ve seen this before and it’s a great idea – would love to see your pictures! I do proof-reading and editing and hate these forms because I always discover some error after I hit GO. But I am sure you prefer to hear FROM us and not DROM us….and also BY completing the form….? I cut a slit in one end of a piece of ‘hook and loop’ (aka Velcro) and slide it over the plug end of an appliance cord. This way it doesn’t get lost and it’s always there when you need to roll up it up. This is much neater and easier than the twist ties that usually come with appliances. I also use the (Velcro) in the garden to hold plants on stakes. It lasts several seasons and does no harm to the plants, whether flower or vegetable. These were really helpful. Thank you for sharing.